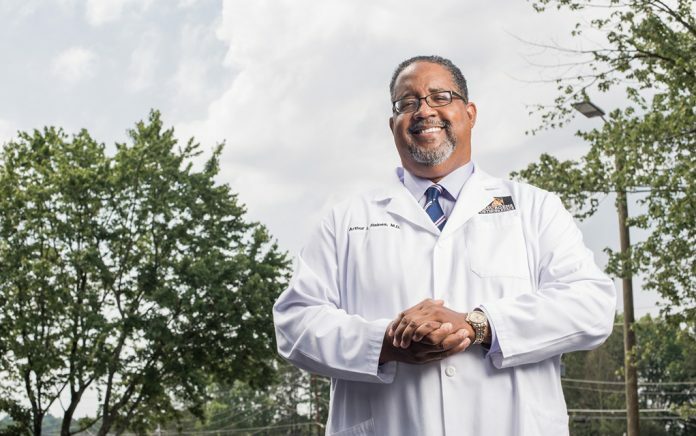 Doctor, as his name aptly suggests, is a fourth-year student at the Morehouse School of Medicine who wants to become a physician specializing in women’s health in underserved communities. The number of people who look like Doctor pursuing careers as physicians across the nation, though, is declining, which is creating a public health problem. The year 1978 also served as a 36-year high in the number of African-American, 542 men to graduate from medical school. Only 515 graduated in 2014. Although African-American men make up six percent of the country’s population, they make up fewer than two percent of the nation’s 18,000 medical school students — 257. Dr. Anwar Osborne, Emory University’s assistant residency director and an emergency room doctor at Grady Hospital in Atlanta, Ga., said the cost can push smart kids into fields with quick paydays like business and finance. Between 2010 and 2014, more black men from Morehouse College, 148, applied to medical school than any other undergraduate program in the country — followed by the University of Florida, Howard University, and Xavier. Cuba: the Next Destination for Software Development?